A true horror film has only one requirement: scare the viewer. 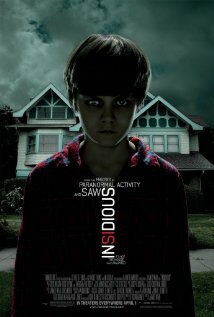 In this, Insidious excels. Forget plot. Forget character. Forget dialogue. From its eerie opening image dragged from a child’s nightmare until its twisted ending, the film keeps the viewer on edge. To obtain evidence of the film’s scare factor, one need only visit the many online discussions in which people talk about nearly losing control of their bodily functions while watching it. In this film, director James Wan hacks off, if you’ll pardon the expression, the gore and violence that he used in 2004 to make a name for himself in Saw. Strange things are happening in Renai’s and Josh’s new house. After their eldest son Dalton slips into an inexplicable coma, they move to a more modest home, but the oddities persist. Elise, an odd spiritual medium, explains that it’s not their house that’s haunted; it’s their son. She claims Dalton is stuck in a hellish place she calls “the further”, and that he must be returned to his body before another malignant force claims it. Whereas successful horror films like Paranormal Activity and The Blair Witch Project evoke fear with a minimalistic approach, Insidious does so by piling on the most effective techniques from other horror films. In a few cases, this strategy jars with the film’s overarching mood and jerks the viewer out of the superb nightmare. But for the most part, it works. Take, for instance, the séance, which we’ve seen a thousand times. Séances are scary. So are gas masks. So why not combine them? A gas mask conceals Elise’s face and voice from the viewer while one of her assistants transcribes her communication with the residents of “the further”. Never mind that the reason for using the mask is rather far-fetched; it’s a highly tense scene. Among the arsenal that Insidious employs to keep adrenaline flowing are ghosts in photographs, creepy faces popping out, strange voices on an intercom, creatures crawling on walls, discordant music, and child ghosts that laugh and scurry. Again, all techniques that we’ve seen and heard, but in this film, they work. The film’s main flaw was its attempt to incorporate humour. For instance, in one of Wan’s amalgamations, the primary monster (compared to Darth Maul in some horror circles, though much more frightening) plays old-fashioned music (source: Jeepers Creepers) while sharpening his metal claws (source: A Nightmare on Elm Street). Although humour is a key characteristic of The Creeper and Freddy Krueger, it detracts from the malignity and mystery of the red-faced monster in Insidious. The biggest mood destroyer came in the Poltergeist-inspired duo of awkward ghost hunters. Insidious has no room for such imbecilic characters. They weren’t even funny. 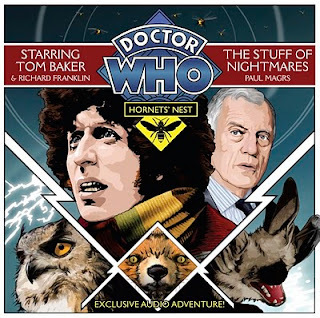 The fourth Doctor continues his adventures in the Hornets’ Nest saga. 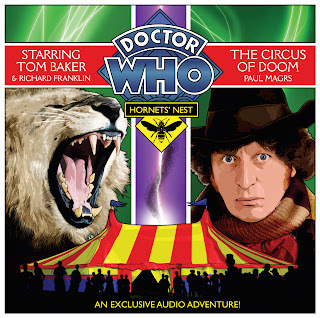 This time Mike Yates is stuck in the cellar, listening as the Doctor spins a tale of a trip to June 1832, and an evil circus which spirits people away from their families. One such is trapeze artist Francesca, the sister of Dr Adam Farrow (Michael Moloney). “Are you saying your sister ran away with the circus?” asks the Doctor. “How wonderful! I always imagined doing that when I was a boy. We didn’t get many circuses visiting, though.” But the ringmaster of this circus is the willing possession of a race of intelligent alien insects, and an even greater obstacle is the Doctor’s own knowledge of a tragedy that must surely come to pass. Even as he begins to take the measure of his new enemies, he starts to feel that he is falling a step or two behind. Paul Magrs gives the Doctor a stream of wonderful dialogue in this episode – “I’m no strange man, I’m the Doctor, and I don’t like to see people looking scared…” – and Tom Baker’s line readings are as surprising and vibrant as ever. It’s worth the fiver or so this CD costs just to hear the relish with which he says “bearded lady”. Macabre and funny, this is some of the best-written Doctor Who out there; for example the Tardis materialises with a “cheery brouhaha”. It’s a taste of what a Tom Baker series might have been like with the production values of the David Tennant era. Sadness comes with the thought that the Brigadier was originally intended to be the Doctor’s partner in these stories. Richard Franklin holds the ground, but these would have made a superb final outing for his commanding officer. 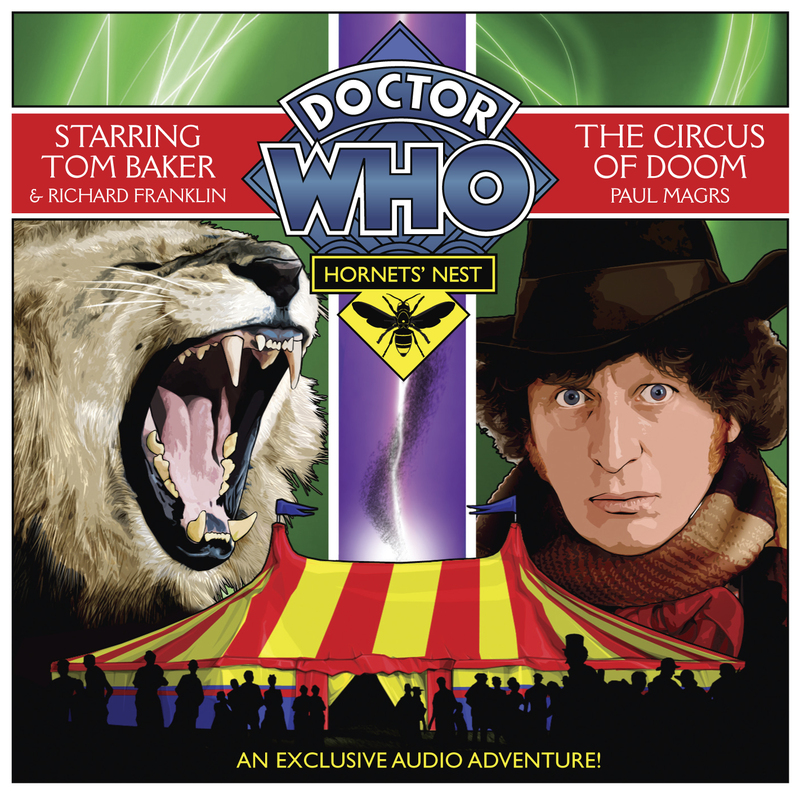 Doctor Who: Hornets’ Nest 3 – The Circus of Doom, by Paul Magrs, read by Tom Baker and others, BBC Audiobooks, 1×CD, 70 mins. Amazon US . Amazon UK. "As the writer of Weirdtongue, I cannot help having a thrill of anticipation in following through the various characters as they either develop or decay, grow fat or thin, famous or infamous, tragic or comic, humble or proud. The fact that they are beyond my control, beyond the control of anyone, makes the prospect of the passions, the sadnesses, the joys, the neutralities, the crazinesses of those pink-parcels-with-motive-force (not just pink, but beige, brown, grey or black) far more possible to set me crying for real than the traditional approach to fiction characters and their fate which the writer's or reader's inevitable knowledge of artful control behind those characters causes to be so bland and unpithy, however skilfully written or read." You might want to take a second or third pass at that second sentence (yes, there are only two sentences in that paragraph). This is an entirely typical bit of Weirdtongue's prose style. There are piles of hacked off sentence fragments and redundantly long and unwieldy paragraph-length sentences bloated with lists of synonyms and subordinate clauses clinging on for dear life. What there seems to be a shortage of is just plain sentences, ones that do not require an intense mental effort to connect their beginnings with their ends. It's the kind of book that seems more intent on describing itself than in communicating anything about the world beyond the text, and there are frequent references to its "vexed textures of text". But just because the author is up front about this, does that excuse it? Is this "vexed text" deliberately immoderate and awkward, or is it just badly written? Towards the end of the novella, a character called a "simplon" arrives and prepares to criticise and edit the foregoing narrative: "There is a much better way to communicate - and that's pithily. Succinctly. Simply simply." He then threatens to edit out, not only the story, but the comments he's just made. I cannot help but suspect that, while D.F. Lewis is making a knowing joke about his inability to write "pithily, succinctly, simply simply", this self-referential knowingness is a way of distracting us from the fact that much of the book is indigestible. "It was still unclear if any form of the sickness was indeed just another way of saying it was a perception of it by someone was also suffering from it (or not)." No amount of ironic talk about "vexed texts" is going to persuade me that this is anything more exotic than poor grammar combined with a lack of editing. It's easier to discuss the style of Weirdtongue than its plot, in as much as the style is so flawed, foregrounded and picked over. The book revolves around a collection of characters who sometimes change names, become one another or lose their names altogether. Gregory Mummerset, Captain Bintiff, Padgett Weggs, Feemy Fitzworth, the Weirdmonger, G., Suzie and Chelly Mildeyes stumble around a fantastical landscape that encompasses the Glistenbury Festival, a nightmarish circus show, a Narrative Hospital, a health spa somewhere in central Europe and London during the Blitz. Their motives and relationships are as shadowy as their identities, and various events might or might not happen. None of it seems to matter very much to them, at least not as much as discussing with one another in typically vexed terms to what degree they are fictional characters or real ones. Turn to any random page, and there will be no sense that the action has moved on from any other paragraph. A sturdy bookmark is recommended: woe betide the reader who loses their place. Emotional resonance is muted at best. I noted just one page that, in terms of insight, stood out miles from the surrounding morass: "Our faces are pressed up against the mortal shell like a child wanting to go out and play but kept indoors like the 'invalid' in The Secret Garden." I sat up at that point, but it was an isolated island poking out of the mist. Although the book is described as "Horror Tales", the only really horrifying thing about it is the sentence construction. Influences are William Burroughs (for his repetition and non-linear plots, also his line in body-horror) and David Cronenberg, but the book itself name-checks Lovecraft, Thomas Mann and Proust (with embarrasing frequency - there is nothing remotely Proustian about it). The book is chronically self-conscious about its own fictionality, but where other post-modern writers will occasionally puncture the otherwise seamless fabric of the narrative, in order to show up the omniscient narrator of Victorian literature for a cheap sleight-of-hand, D.F. Lewis has torn his narrative to shreds to the extent that all he has left to show us are the rags that remain. Constant interruptions, footnotes, apocrypha, reversals and retractions and similar narrative stammers mean the story never really finds any traction and the plot has been so thoroughly deconstructed that reading it is a flaccid, sterile experience. I think the big mistake here is that D.F. 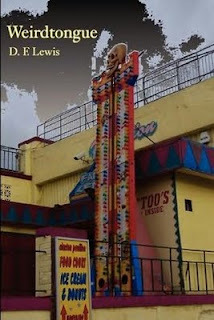 Lewis has allowed himself every license to play around with the conventions of the novel. I was reminded of a sketch from that old TV sketch show Absolutely: two men are staring intently at a chessboard covered with pieces from every conceivable board game, including Star Wars figures and other random elements. After a lengthy silence, one man picks up a piece, puts it back down again exactly where he found it, and declares himself the winner. In the same vein, I once knew a girl who, whenever you offered criticism of something she was a fan of (e.g. "this song's lyrics are a bit trite, no? "), would inevitably reply, "But it's meant to be like that, don't you see?" D.F. Lewis, by openly admitting his inability to write pithily, has simply declared himself the winner by his own unwritten rules. By the time I finished Weirdtongue I certainly felt like the loser of the contest. I won't be demanding a rematch. Weirdtongue by D.F. Lewis. Inkermen Press, pb, 122pp. ISBN 9780956274946. Available from Amazon UK. Here the BBC manage what Big Finish never quite could: persuading Tom Baker back to the role of the Doctor [or at least they hadn't when this review was originally published in Prism – well done Big Finish!]. This is a post-Fendahl Doctor who apparently looks just like he did in the seventies (which could well mean he looks like Jon Pertwee, depending where you stand on UNIT dating). Considering this teams Paul Magrs and Tom Baker, known respectively for their eccentric novels and performances, this feels awfully old-fashioned, almost reined in. If anyone was going to provide Baker with the talking cabbages he craved, you’d have put money on Magrs, but not this time. We do get the Doctor as hermit, though, another Baker suggestion rejected by the TV production team. He’s keeping watch on a cottage filled with stuffed animals that occasionally attack him. Why? That’s the story he begins to tell Mike Yates. Disappointingly, this isn’t an audio drama, but rather, as it says on the back cover, “a multi-voice adventure”. First Mike Yates tells the story of how he found the Doctor, then the Doctor tells the story of how he got stuck in the cottage. Bits here and there are dramatised, but it’s more like an audio book, of which this CD comprises just one of five parts, than a Big Finish production. That’s a shame, in that Tom Baker sounds most like the Fourth Doctor during the exchanges of dialogue, and least like him when narrating the story. It’s hard to imagine the restless, impatient Fourth Doctor sitting in one chair long enough to tell such a long story! Perhaps here we’re meeting the side of the Doctor who sits down to write in those five-hundred-year diaries. As narrator, he’s largely unable to deliver the exciting line readings that were such a feature of his performance as the Doctor. But the times when he does are the high points of the CD, and Magrs gives him some great material: lines like “What had I smoked out of the badger’s head?” or “I opened up the badger’s brain using very tiny brain scissors.” Even when it doesn’t sound much like the Fourth Doctor, it’s still Tom Baker, and listening to him read a new Doctor Who story of any kind is a pleasure of the very first order. As long as you come to this expecting a reading rather than a play you should go away happy. Doctor Who: Hornets’ Nest 1 – The Stuff of Nightmares, by Paul Magrs, read by Tom Baker and others, BBC Audio, 1xCD. Amazon US . Amazon UK. This review originally appeared in Prism, the newsletter of the British Fantasy Society. When the skeleton crew of a derelict oil rig in the Arctic Ocean begin to see TV news footage of food riots and carnage in cities across Europe, they begin to suspect that the relief ship scheduled to bring them home is not coming after all. Things quickly worsen, and soon the rig is cut off from all outside contact with the long night of Arctic winter closing in. Adam Baker's taut, stripped-down writing style resembles a film-script more than it does a novel, although for thriller writers this is now the dominant mode. Many of his paragraphs will start with a terse, "C Deck. Dark, frozen passageways" or "The powerhouse. A steady hum from Generator Three" as though this were actually a part-novelised film script rather than a continuous piece of prose. Still, it keeps up the pace, and one cannot deny that Baker has a very disciplined, lean style. There's a relentless, cinematic focus on the action, switching efficiently between different characters as they grapple with various engineering problems aboard the rig and on the ice. Just now and then the author feels the need to state the obvious by putting into one of the characters' mouths the question that should really have been implied, and which any astute reader would be asking themselves already. Baker has clearly done his research but wears it lightly. The various settings: the refinery platform itself, a drifting cruise liner, an old underground Soviet nuclear bunker, all feel convincing, but described without indulgence. Every description and conversation is reined to the relentless drive of the story itself, as new disaster follows on the heels of almost salvation. For my taste, this overwhelming concentration on plot palled. The characters do lack depth, and beyond about six core players, the rest of the 15 stranded workers as usually simply referred to as "the crew", an ill-defined mass of idle, tattooed toughs. The dialogue shows early promise, with a delicately drawn tension between Rev. Blanc and the gang of iron-pumping n'er-do-wells who threaten to disrupt the team spirit, but soon any shading between the voices of the main players is lost, and once blood begins to spill, their dialogue merges into the staccato delivery of all action movies, just as they all very quickly get used to handling shotguns and crushing people's skulls with their cramponed boots. Captain Rawlings (I pictured him as J.K. Simmonds playing the Editor of the Daily Bugle in Spiderman) tells the priest when he hears about the death of a man on the ice, "Christ. There will be a bunch of tears when they get back. A bunch of guilt. Well, that's your problem. Pastoral care." One gets the impression that Baker has as little time for emotional niceties. The crew soon learn that the parasitic plague has overrun most of the world, and that they are island of uninfected humanity trapped in the ice. Alright, so perhaps I shouldn't have expected too much philosophical reflection on this startling fact from a bunch of bored oil riggers, but surely that is why we find apocalyptic novels fascinating - civilisations in ruins, the end of history, the meaninglessness of human endeavour faced with such a crisis. Baker doesn't give them time to reflect on this - there's always another engineering problem to be overcome, a winch to be fixed or oil drums to be welded together. Essentially this is a zombie novel on an oilrig, although there are hints that the infected develop some kind of primitive hive mind. It's not clear whether the metallic nanoparticles that infect people are of human or alien origin, but it hardly matters. Otherwise these are classic zombies: slow moving but relentless, bloodthirsty (but not for their own kind), dim but occasionally able to recall aspects of their former, human existences. One of the most effective sections in the book is narrated from the point of view of a character whose mind is slowly being overtaken by the disease, but who struggles to save her team-mates from her own bloodlust, before succumbing. The disjointed narrative reminded me of a particularly bad acid trip. We never really find out exactly what has happened back in the civilised world, although one character Nikki, escaping on her own on a home-made raft, comes close to the shore of Norway before seeing what she takes as the light of a nuclear detonation over Europe, and losing her mind entirely, navigates her way back to the oil rig. For me this was the weakest part of the plot - Nikki has been drifting on the Arctic ocean for weeks, but apparently is able to find her way back to her point of origin with the aid of her hallucinated dead boyfriend. She becomes psychopathic mastermind too, explaining her insane plans to her hostages with clichéd calm. I read this book much faster than I would normally read, overnight when I was ill in bed. It suited my mood - I wasn't up to reading anything that would take too much concentration. It's not a memorable novel, but as a zombie/techno thriller it definitely does the job. 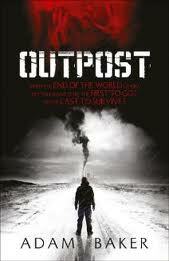 Outpost, by Adam Baker, Hodder and Stoughton, hb, 369pp, out on 14 April 2011. Available from Amazon UK, Amazon US . My third short book by Stephen King in recent months is another reminder that by not reading his work more regularly I’m really missing out. His Kindle novella UR was good, if a little goofy, and certainly much better than you’d expect an extended advert to be. The Colorado Kid was unusual too, very nearly an essay in fictional form; an investigation into the process and purposes of storytelling. Both left me keen to read more. The book under review here is a collector’s edition of a short story previously collected in Night Shift in 1978, published this time as a neat little landscape hardback with sixteen captioned illustrations by James Hannah on every other page. This arrangement of text and art causes a problem in that the pictures quickly race ahead of the text in order to capture all of the money shots, giving away the entire plot, but it’s fair to say that most people willing to pay £75 for a twenty page story (£175 for copies signed by the artist) will be big fans of Stephen King, and hence likely to have read the story before, making that less of an issue than it would be for a brand new story or longer book. The story itself is brief but very good. A stranger bursts into Herb Tooklander’s bar and immediately collapses, having walked through a blizzard to get there. There are grey blotches of frostbite on his face, but he’s more concerned for his wife and daughter, as are Herb, the narrator and the reader once they realise where he’s left them. It’s a story that hits at the heart of how it feels to be a father and a husband, the supernatural horror more than equalled by the horror of the father’s simple powerlessness. When he is taken back to find an empty car, and calls out their names, “you could hear the desperation in his voice, the terror, and pity him for it”. By that point the spoilers in the illustrations have erased any hope of a happy ending, adding a layer of painful fatalism to the story. Good as the story is, even accompanied by attractive, colourful pictures it doesn’t justify the cost; no short story could. But as a collectable, it’s the kind of book it would feel good to own, a book you could be very proud of, and you’d be surprised to see it diminish in value. 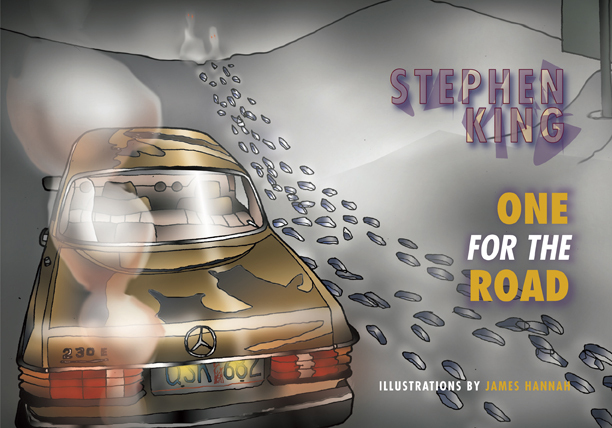 One for the Road, by Stephen King, PS Publishing, hb, 42pp. Available here. ...especially when they are at least a dozen years younger and so very much better looking! "The notorious Easie Damasco is a rogue and a thief and a scoundrel, who somehow always lives to see another day. In the first of his outlandish adventures, Giant Thief, Damasco manages to steal the wrong treasure and ends up with an entire army on his tail. Riotous swashbuckling adventure in the popular tradition of recent fantasy successes Scott Lynch and Joe Abercrombie, the Easie Damasco adventures will run to at least three books." More details here and here. 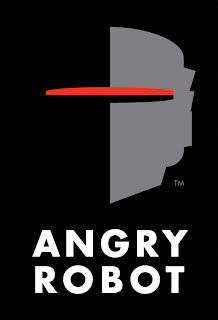 Congratulations to David – and to Angry Robot! Becky and Rob have moved into a creepy new home following a family tragedy, one gradually revealed to the reader. The space between them, of things that can’t be said, is mirrored by the space beneath their stairs, a place where nothing can be said. There, Becky feels the presence of someone they both love and miss; Rob feels something more malicious. 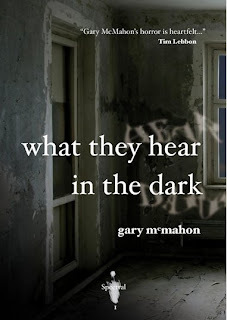 This is the first in a series of chapbooks from Spectral Press, sold on a subscription basis, and given that Gary McMahon seems to be an author with a bright future – a bright future of spreading misery and darkness! – this is a very collectable little item. The story for me suffered a little from the climax being anticipated by a premonitory dream; second time around is in theory more frightening because Rob notices something new, though I was distracted by wondering why he realised it then and not the first time. Logic aside (and where does logic enter into what you notice in a dream anyway? ), what he notices at the end is truly shocking, and the story as a whole is moving and quite terrifying. As with “In the Skin” (in Different Skins), McMahon isn’t afraid to write about bad things happening to children, and that gives him the opportunity to hit us where it really hurts. A handful of minor editing and formatting glitches demonstrate why a series of chapbooks is such a practical, sensible way for a small press to get started. The format echoes – copies, you might even say – that of the successful Nightjar chapbooks: similar cover stylings, lower case titles, and even a title that reminds of Michael Marshall Smith’s successful What Happens When You Wake Up In the Night. You might wonder if there is room in the market for two such similar offerings, but if Spectral continue to produce chapbooks as interesting as this one I’m sure there will be. Subscribe at http://www.spectralpress.wordpress.com. 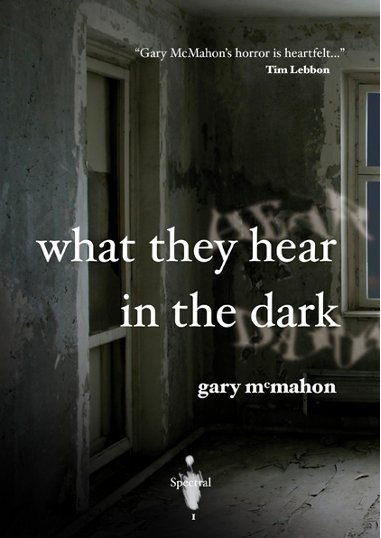 Spectral Press #1: What They Hear in the Dark, by Gary McMahon, Spectral Press, chapbook, 20pp.